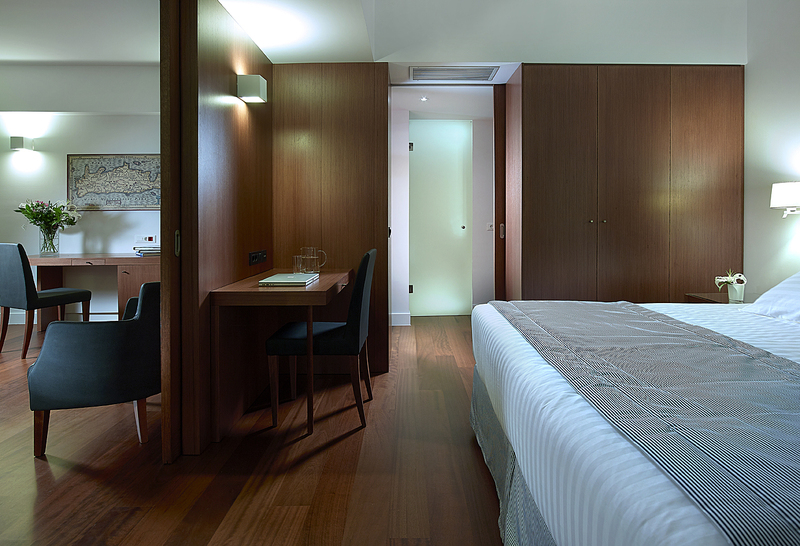 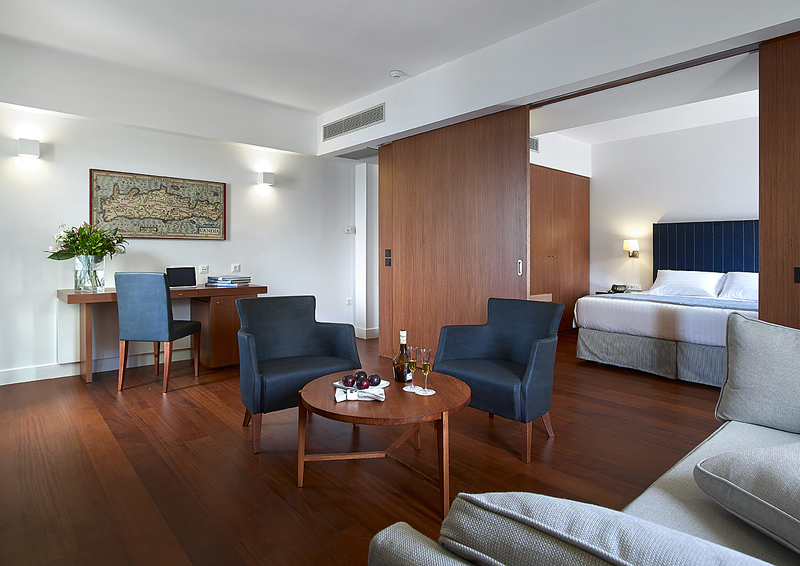 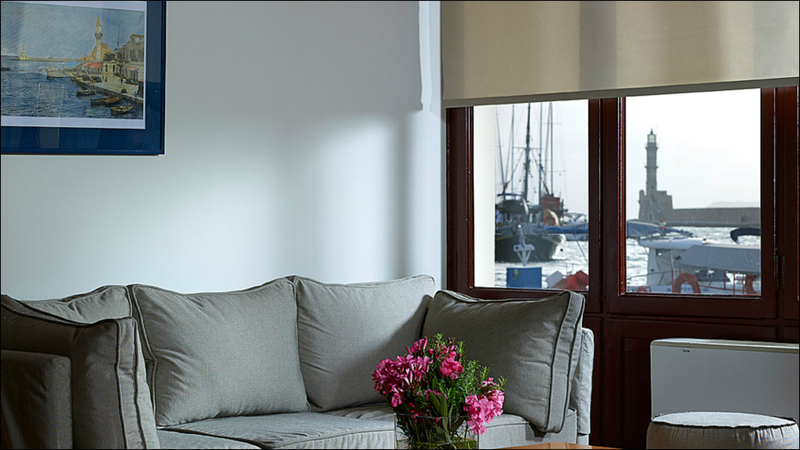 Porto Veneziano Hotel enjoys a privileged location on the waterfront of the Venetian Harbor of Chania in Crete, right at the heart of the famously picturesque Old Town. 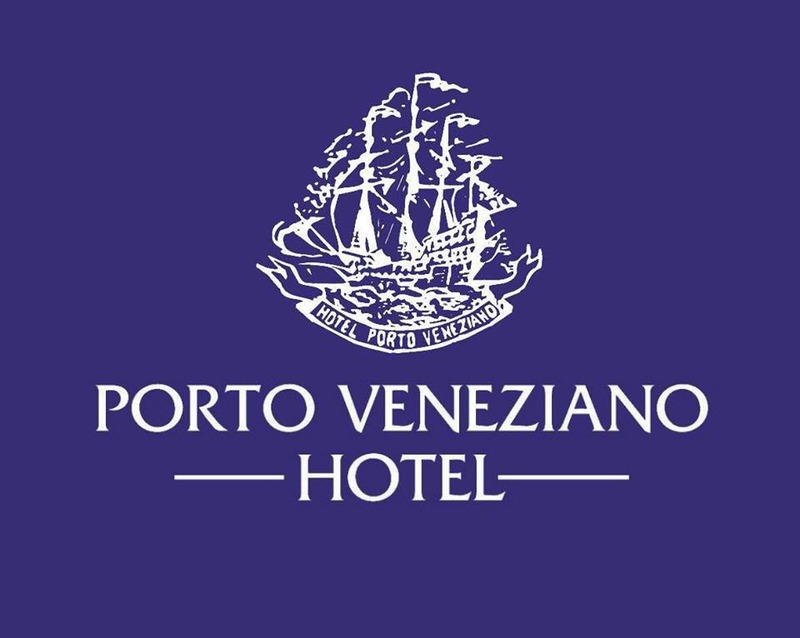 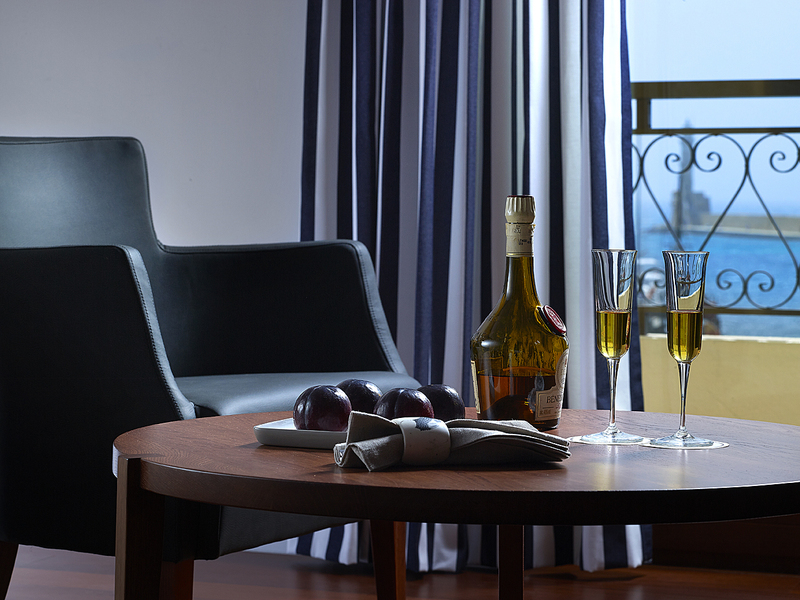 In the spirit of renewal, Porto Veneziano Hotel completed a full renovation of all rooms and suites in March 2013, thereby sporting a minimal navy design along with the unforgettable views the sea, the Old Town, the White Mountains and the private garden. 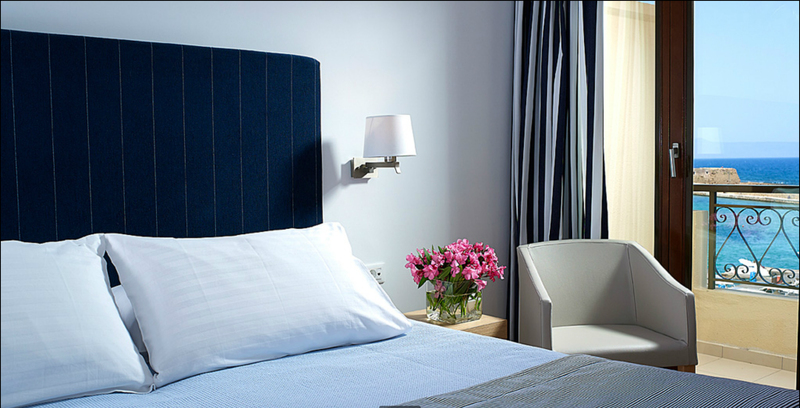 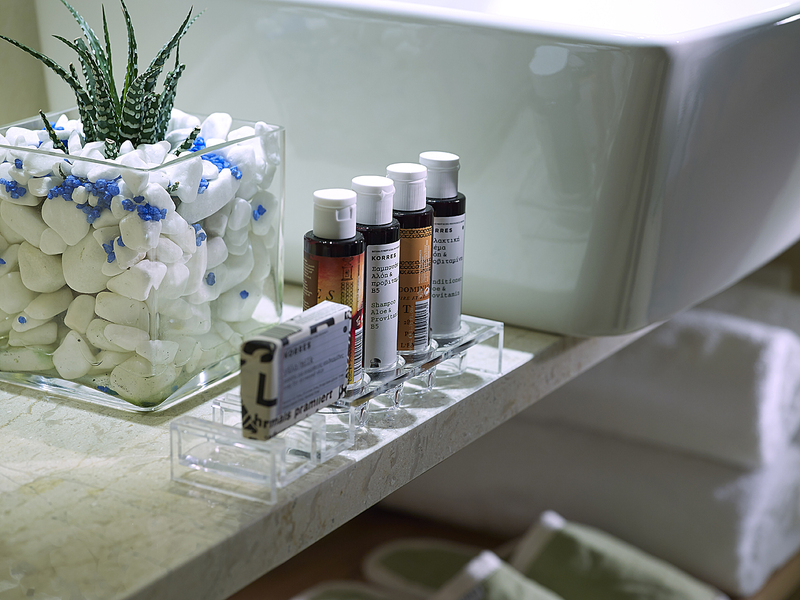 The numerous offerings of the hotel include anatomic bedding, certified Greek Breakfast buffet with local delicacies, free wi-fi throughout, geothermal air conditioning and also operates a smoke-free policy on all communal areas.